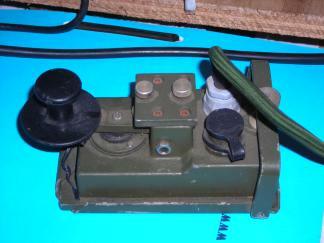 The original Clansman headgear all had similar electrical performance and was based on a dynamic microphone and a 600-ohm earphone or earphone pair. 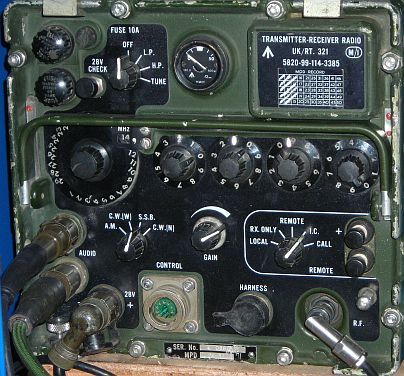 Vehicle Headphones generally had a separate PTT ("Pressel") box connected inline between the radio and headset if the user was intended to transmit. 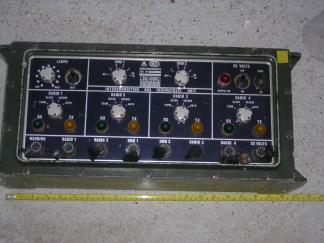 The original design for use with dynamic microphones is black, Later "ANR" pressils for use with headsets that have Electret microphones are Green and are meant for use with the gold coloured ANR crew boxes. Twin Earphone headsets have separate audio feeds to each ear and can be used with appropriate harness or audio boxes to monitor two radios. The radios are keyed by grounding pin F to Pin E via a resistance of less than 1.6 K Ohms. The headgear can also be used with harness boxes and in that case keying is by presenting an impedance less than 1.6K across the microphone lines. All of the headsets have a DPST PTT switch (or use the one in the Pressel Box) and one pole connects pin E to F whereas the other connects the microphone. 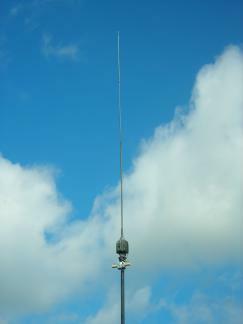 This ensures that when multiple headsets are connected to a radio only the one that has PTT pressed has a live microphone. The Pressel Box has a switch that permanently activates the microphone if required. 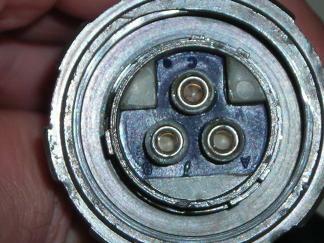 Pins are marked on the connector insert. Pin G is the centre pin and the others looking into the pins of the plug are ordered clockwise from Pin A which is next to the widest key projection on the plug. All of the following headsets have this pinout and are interchangeable. 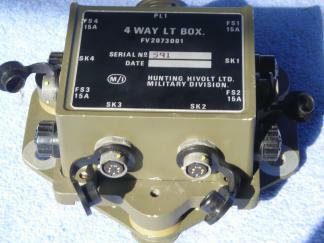 The Pressel Box has a 7-pin connector at one end and a 7-pin plug on a flying lead at the other and it contains a 2 pole switch one contact of which connects pin B (Microphone +) and the other contact connects pin F of the 7-pin flying lead to pin E (Headphone Ground) and the cable screen. 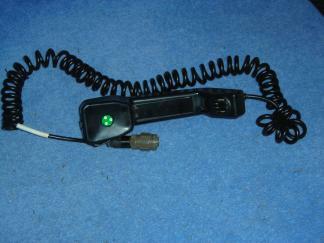 A straight Morse Key was provided which is usable with the HF radios UK/PRC318, UK/PRC320 and UK/VRC321 only. 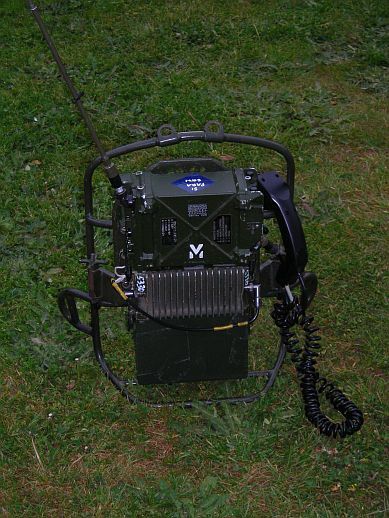 As far as I know the key connects pins F (PTT) and E (Headset Ground) on the audio lead, but most keys for Clansman have all audio connections present because they have a pass-through headset socket. The remote handset for 2-wire use is rather different because it has insulation piercing connectors for D10 cable at the Microphone end and is provided with a call button as well as a PTT. 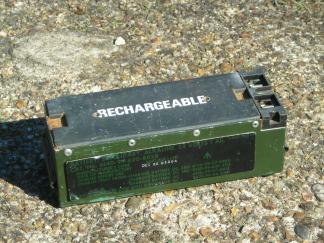 The Vehicle loudspeaker (also a 60 ohm unit) used in conjunction with the AF amplifier box sourced from either a headset socket or harness. 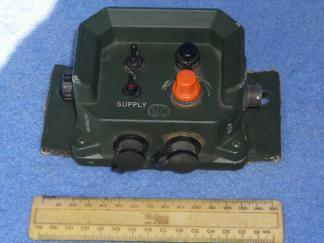 A loudspeaker, gun control which is selfcontained and battery powered. 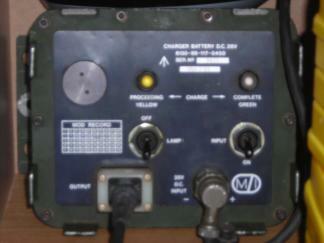 This connects to the remote terminals of the Clansman radio using twin cable. I would like to acknowledge input from G8HUL to correct this page.